time to do it again this year in my fireplace. You can see what the room looks like now – here. 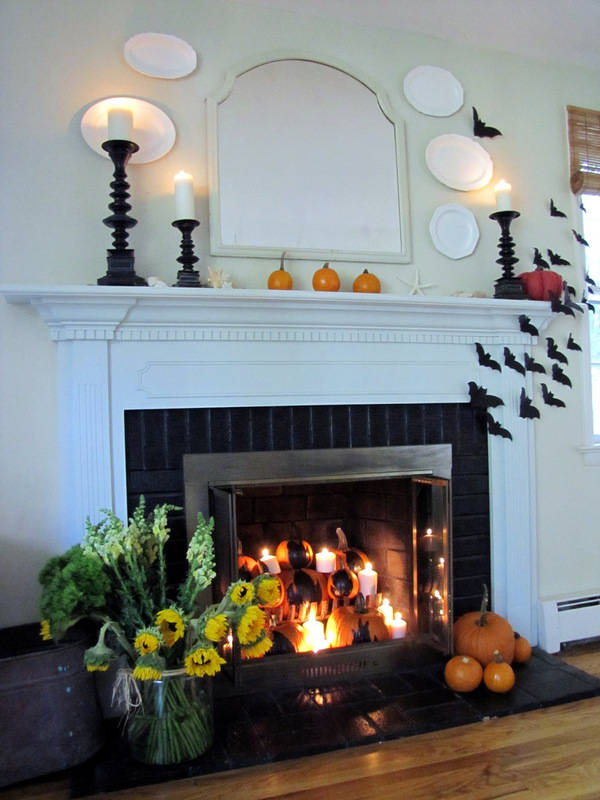 But, I love the simplicity of last year’s Fall mantel. 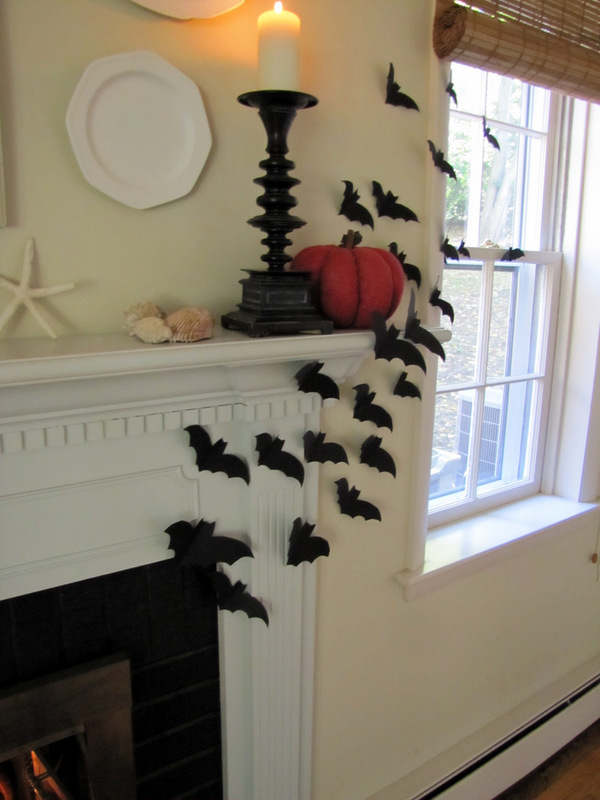 I still plan on using the bats in this year’s mantel. Stay tuned for this years version! Looks great! I love the bat idea. Very cute and I love the bats too! love love love the table! very beautiful. i'll have to check their stuff out 🙂 thanks for sharing. oh, and i love the pumpkins too! I love it so much!!!! I would never had carved out that many either and yours looks so incredible!!! I am in love with the bats too!! What a clever idea having them come out of the fireplace!!! I like your look even better than the Country Living. Great idea. Love the bats! The whole display is fantastic! I am stealing the bat idea, my boys will love it! Gorgeous! I love it! The bats make it for me. Thanks so much for linking up at A2Z! I LOVE IT!!! I think yours looks even better than CL. The bats look so awesome! And the table, I noticed it before I read further into your post. So fabulous! After having a bat in my bellfry, well in my living room, a few times I must say I prefer your paper ones any day! I LOVE the fireplace. 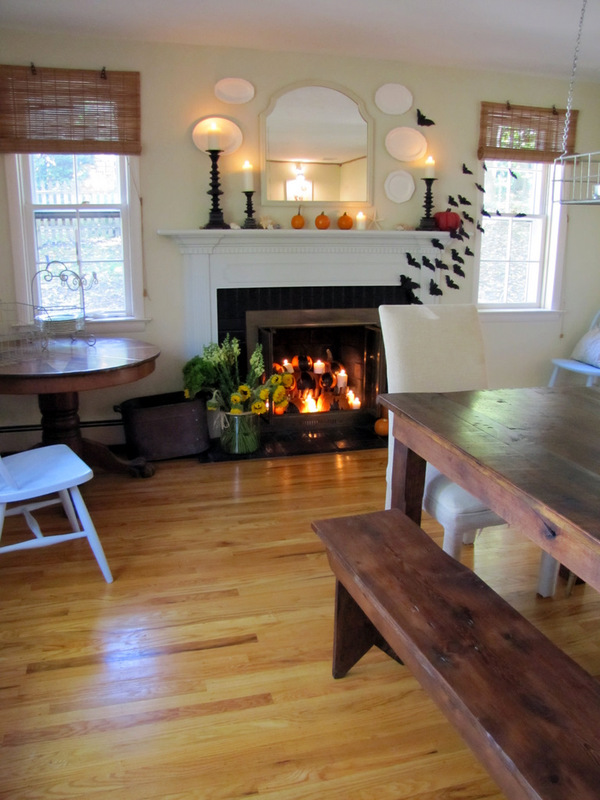 I LOVE LOVE the fireplace in the dinning room. How cute! 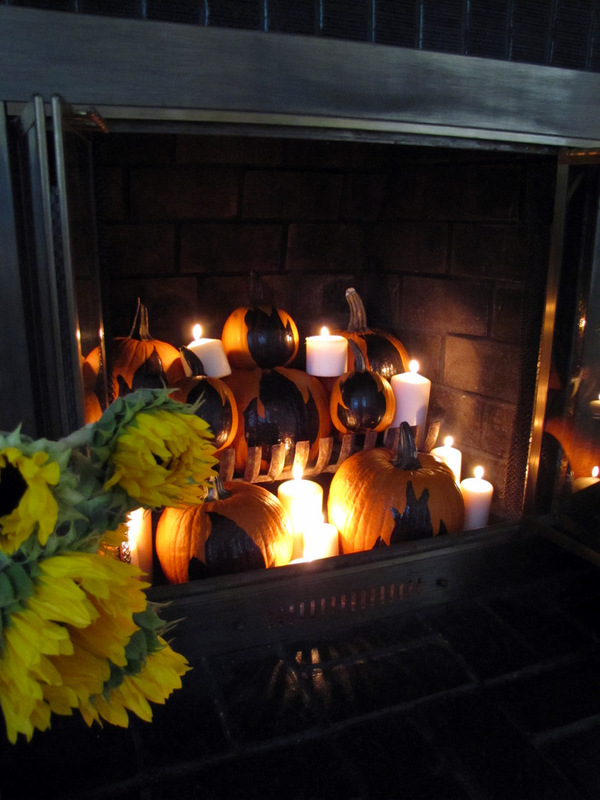 I think the pumpkins will last longer being painted instead of carved-great idea. I love the bats too! Love it all! Looks fantastic! I like your version better and I LOVE your bats flying free across the wall. Awesome idea! Guess I'll have to copy you and soon! 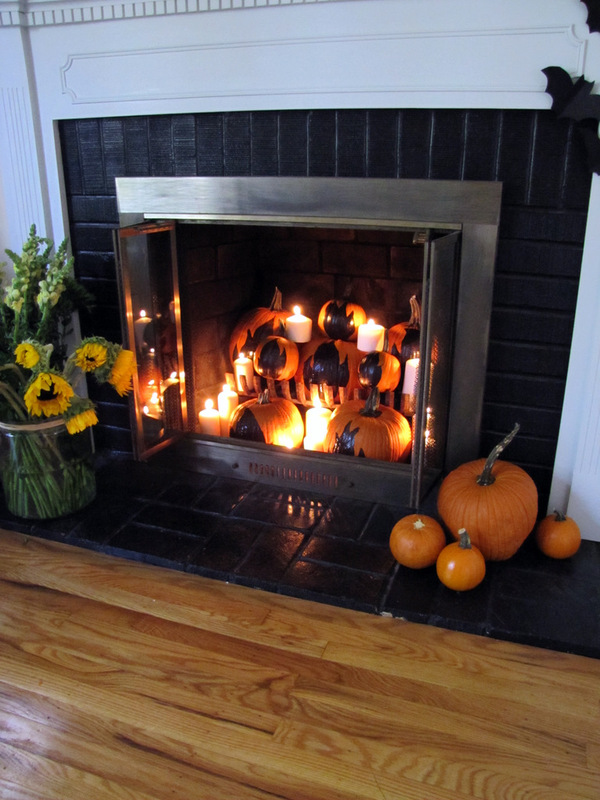 Love your matel and the pumpkins are awesome in there! Great job! Wow. You have such a great eye for style! Warm and cozy and fun! Thank you again for linking up! Love those bats! 🙂 Thanks for linking up to The "Autumn Décor" Talent Scouting Party at WhisperWood Cottage! Love the bats! Great idea.